21 Drops is a company that harnesses the power of essential oil blends and their therapeutic healing. They have 21 unique and modern oil rollers that you can use daily to empower you to Be Your Best Self Every Day. 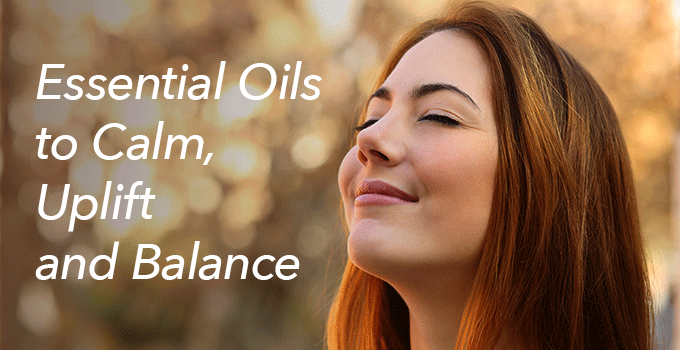 They recently posted a great list of essential oils that can help you change your mood, I recommend popping over to their blog as they have some really informative posts. This is a quick reference list of oils that calm, uplift and balance you mood, try one or a blend in a diffuser or massaged on your skin in a carrier oil. 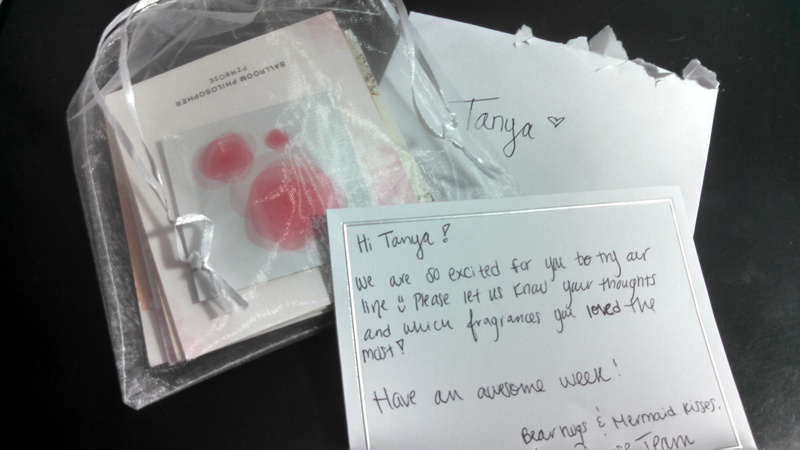 A while ago I wrote about Pinrose, a company that uses synesthesia to help you find your signature scent. I had a wonderful experience with their customer delight department and yesterday I received this lovely little gift from them including a personal note. The Pinrose brand voice both online and in person is soulful, open and happy. For example, instead of using the traditional perfumer lingo of top, middle and base notes they have named theirs smile, heart and soul. 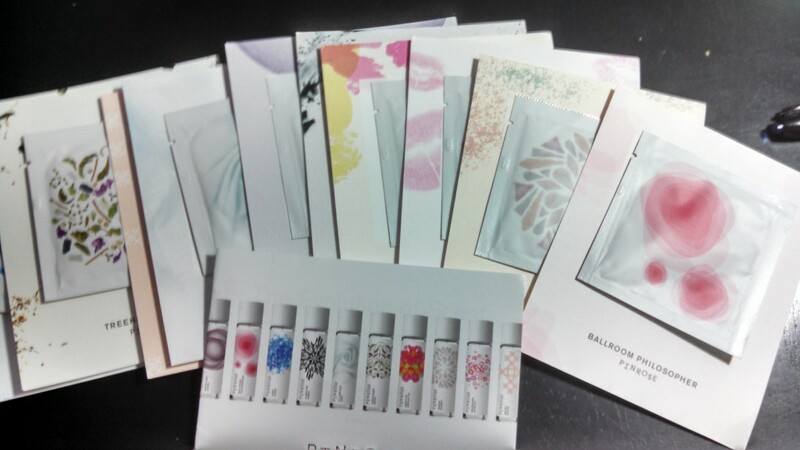 On each scent card they describe the multisensory experience and traits of the scent. Based on my synesthetic quiz answers, they recommended the Merry Maker, Campfire Rebel or Treehouse Royal however the scent profile of Surf Siren appealed so much to me I thought I would start with that. As I write this, I am listening to the song they say the scent sounds like, This Must be the Place by the Talking Heads. Initially it seems like a strange song to frame the scent, however, while smelling it and perusing the Surf Siren Pinterest board, it seems appropriate – hopeful, unassuming and breezy. They have an entire playlist for this scent and it definitely feel bouncy and happy and relaxed like a beach holiday. This scent “sips like” a French 75. The drink is a classic, slightly sweet, citrus champagne cocktail with floral and herbal notes coming from the gin; another very appropriate cross-sensory reference. All in all I thoroughly enjoyed wearing this scent, the only complaint I had is that it was too subtle at the end of the day. Until tomorrow where I will sample one of the scents they recommended for me. 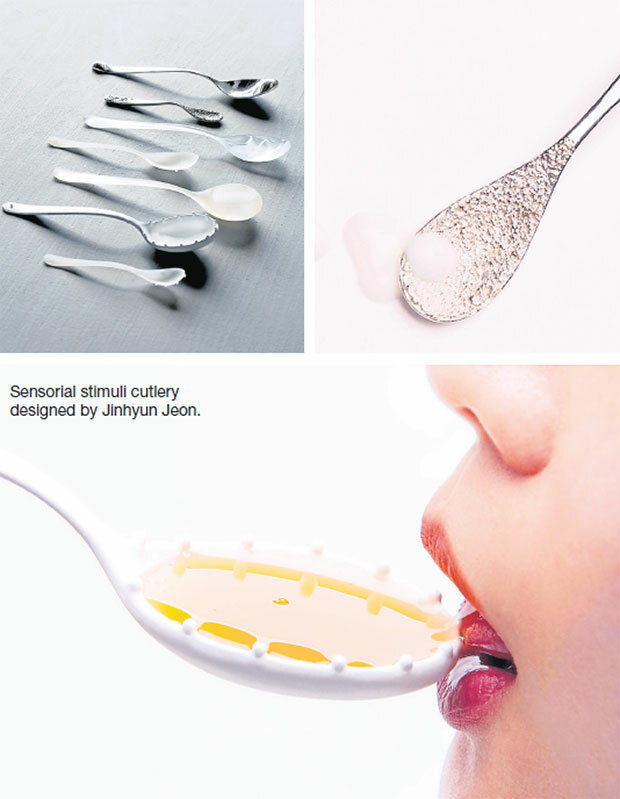 Gardnening is truly a multi-sensory experience. 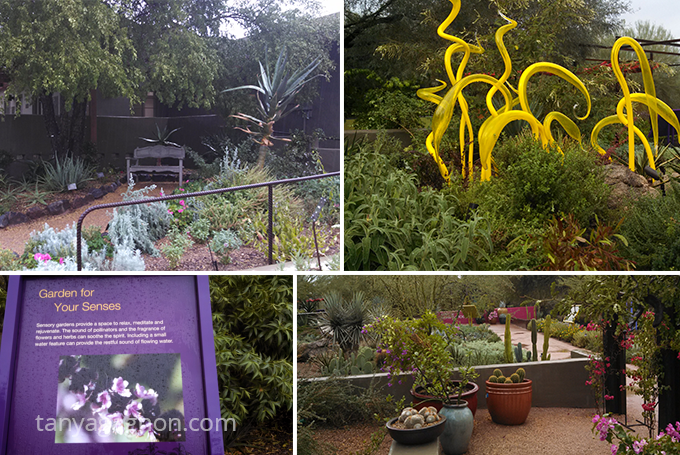 Walking around the Desert Botanical Gardens I came across their Sensory Garden. The sign at the entry let me know that I was now entering a garden where you should stop and smell, touch and experience all the plants. Up until then I was an observer from a safe distance (many of the plants are cacti and although beautiful to look at, pretty painful if experienced close-up). But in this area, it is encouraged to fully engage with the plants and almost guaranteed that you will discover something new. I was fortunate to grow up surrounded by acres of beautiful gardens and spent my mornings picking fragrant flowers and tending to my very own vegetable garden. I have very specific memories of my childhood and they revolve around how the gardens smelled, tasted and felt. One of the reasons why I started this blog was to help people open their eyes to the beauty and wonder that surround us every day. I believe that my childhood experiences helped me hone my ability to see the beauty of the everyday, and one way to instill this in your children is to help them experience life through all their senses and get them to put down their ipads. Creating a sensory ‘scratch and sniff” garden would be a great way to get their other senses invloved and create wonder and discovery in their lives. We all have memories tied to the 4th of July, and most of those memories include fireworks of some kind. In the early eighties, we moved to the United States and so began my happy memories of colorful and magical skies, loud bursts you can feel in your chest and the smell of black powder hanging in the night air. Why do we love fireworks? It thrills ALL the senses. It is a curious anomaly that the pops and bangs of fireworks, so reminiscent of gunfire and turmoil, are part of the pull of the response to a fireworks display. Although we wince, cringe, cry out at the detonations, they are essential to the experience, adding an edge of adrenalin to the spectacle. Fireworks are a controlled danger. As for the psychologists, they say that watching fireworks, a potentially risky behavior, releases the chemical dopamine in the brain. That’s the same pesky neurotransmitter that takes over and makes us go loopy when we fall in love. Its a feel good phenomena, and also links to our happy childhood memory of similar sensations. Fireworks: A Fiery Fascination. Of course my dogs would say that their memories of fireworks can be summed up into two words; pure terror. I am sure if I didn’t know what was going on either, it would be a shock to all my senses. Although a fireworks experience is already a multi-sensory experience, the sense of smell and taste are not as stimulated as those of sight, sound and touch. The world’s first multi-sensory fireworks display was in London in 2013, crowds were treated to clouds of apple, cherry and strawberry mist, peach snow, plus thousands of big bubbles filled with Seville orange-flavoured smoke and 40,000 grams of edible banana confetti. Get a behind the scenes look at how Bombas & Parr created this magical event, here. One of the lovely things about Fourth of July fireworks is that they take us back in time, to the days that communities would get together in town squares and spend the day and night socializing and watching the sparkling event. So the future could really be, keeping it just like it was. Me, I am excited to go down to my local store and pick up a few boxes of sparklers and share them with my family tomorrow. As each rod bursts into mesmerizing, dripping sparkles, I will be transported away from the ordinary and come back just in time to watch the big show. 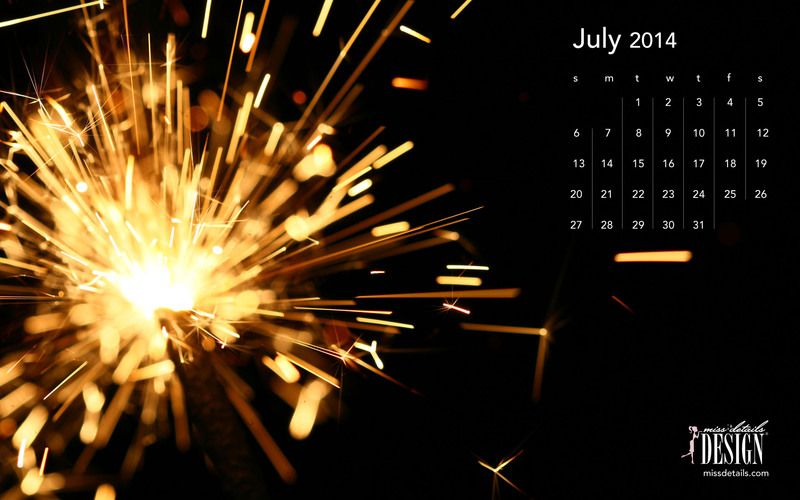 To keep the memories of this special night going all month long, click here to get your free July sparkler desktop calendar.